You are at:Home»FlightSimExpo 2019»FlightSimExpo Announce Initial Exhibitor List for 2019! 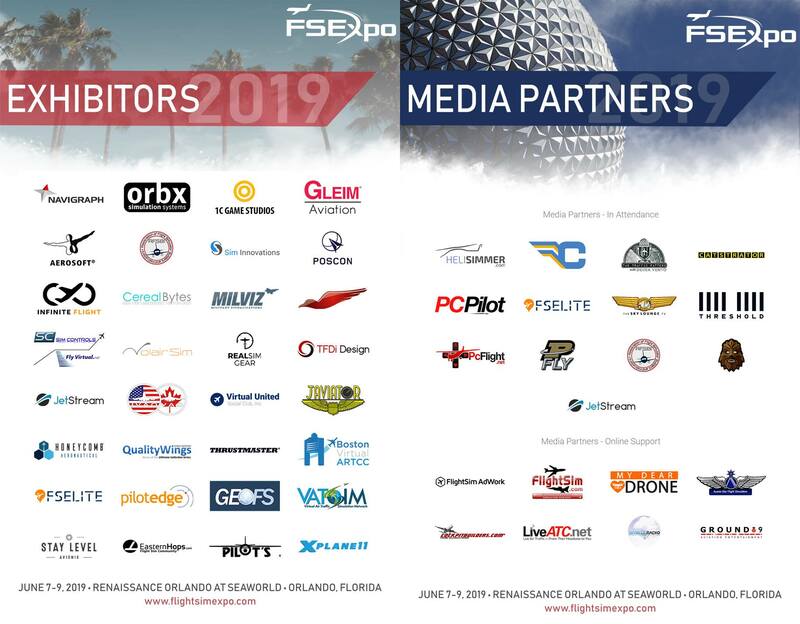 Organisers of an American flight simulator convention called FlightSimExpo have released an initial list of exhibitors for this years event! More than 30 initial exhibitors will be attending the June 7-9, 2019 event in Orlando. 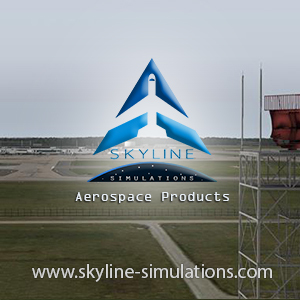 These include the largest names in hardware, software, and simulation platform development. 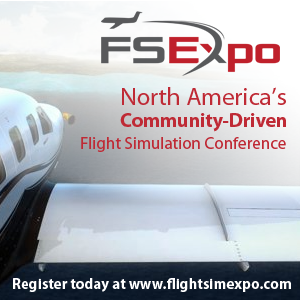 The initial launch of confirmed exhibitors for FlightSimExpo 2019 includes: Navigraph, Orbx, 1C Game Studios, Gleim Aviation, AEROSOFT GmbH, AFSBI, Sim Innovations, Positive Control Network, Infinite Flight LLC., Cereal Bytes, Military Visualizations Inc, Redbird Flight Simulations, Sim Controls / FlightVirtual.net, Volair Sim, RealSimGear Inc., TFDi Design, JetStream Radio, INTERNATIONAL VIRTUAL AVIATION ORGANISATION, Virtual United Social Club, Inc., Javiator, Honeycomb Aeronautical, QualityWings Simulations, Thrustmaster, Boston Virtual ARTCC, FSElite, PilotEdge, GeoFS, VATSIM, Stay Level Avionix, EasternHops, PILOT’S, and Laminar Research. It’s shaping up to be a very exciting weekend, the list of exhibitors is set to grow as the event draws closer. We’ll be attending the two-day event in Orlando and we look forward to seeing many of you there! Previous ArticleOrbx SODE Jetway Extravaganza! Next Article More PMDG 747 PBR Previews!